With over twenty years in the industry at Aegis Living, we live and breathe assisted living every day in our work. We work on new innovations, and we strive to make our communities unexpected. But if your parent can no longer live on their own and you are searching for a place where they will be safe and cared for, this industry is new to you and terms may not be familiar. Let’s cover some basics of how an assisted living community—whether that is at Aegis Living or another community—can support your parent. 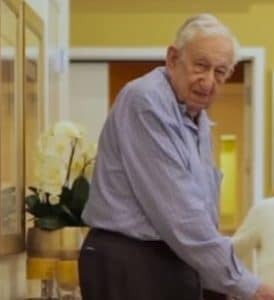 Every assisted living community will have a different look and feel, and their services may vary, but fundamentally they will assist your parent with their personal and health care needs. An assisted living community allows your parent to have their own apartment and supports their independence with 24/7 assistance. They may be downsizing, but they are also receiving a combination of care services and safety with around-the-clock care staff. First and foremost, assisted living communities are a home, and the entire community is available to move about in and use. Residents will live in a private apartment, but the common areas like the dining room, movie theater, craft room, and living room are where they meet their neighbors. The communities are warm, friendly, and comfortable with décor and furnishings similar to what you might find in a gracious house. Support services like housekeeping, laundry, and transportation are available for the convenience of the residents. Having their own apartment allows for residents to determine their own level of privacy. Assisted living communities are based on a social model with daily, rotating activities to keep residents active and engaged. These activities will vary depending on the community and location, but common activities are local outings, exercise classes, games, and other forms of entertainment. Aegis Living has a robust Life Enrichment program with educational programs that include TED talks, travelogues, brain teasers, music and the arts, and exercise programs to focus on strength and balance to help reduce falls. Our programs are designed to encourage residents to make new friends and interact socially with their peers. The staff in assisted living communities are compassionate individuals who enjoy working with and caring for the elderly. They assist with ADLs (Activities of Daily Living) as needed, such as dressing, toileting, eating, or bathing. And are on hand around-the-clock to assist your parent and to keep them safe. From our front desk staff to our chef, our staff understands that they are working in the resident’s home. They are professional yet close to our residents—more like caring for a family member. At Aegis Living, our communities have nurses on staff to oversee the healthcare and medication of our residents and if needed communicate with doctors and family members about changes in their health. Assisted living communities are a perfect fit for seniors who can’t manage a home on their own and need some level of assistance. It’s a safe place to transition out of their home but still remain engaged with others. An assisted living community will support their current needs and is there for them as their needs change. If you have more questions about what services assisted living communities offer, please contact your nearest Aegis Living community. Our expert staff would be happy to help.